The Commander picked me up in the pre-dawn hours and we headed to the Catt. We stopped at the tribal gas station to acquire a reservation license for Tom. To my dismay and Tom's frustration they sold out of licenses on Saturday. We spent some time looking for other options to get one but we were out of luck. 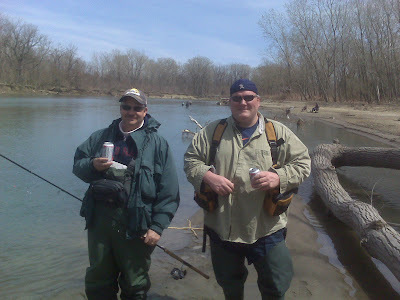 We stopped on the lower end of the trib and saw a few fresh fish being caught and we decided to go to plan B and plan C or D whatever. He said he had the feeling the night before that something was going to go wrong and it did. I told him you have to believe in the law of attraction. If you have positive thoughts good things will come to you. He was believing in Murphy's Law today. There were no fish for to be had in that area and I think we saw one fish caught while we were there. Our next step was to go back low or go high. 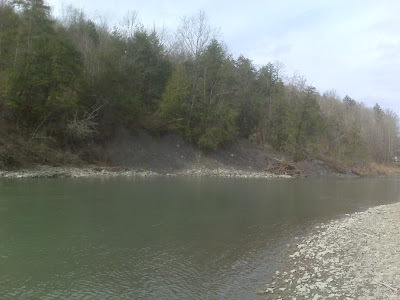 We decided to go against our normal logic and head into Zoar Valley looking for some drop backs or possibly some silver fish that may be late to the game. The scenery was beautiful but our luck was the same. We ran into a few hacks that were sight fishing in pocket water. 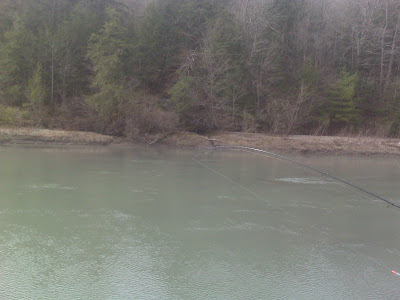 Basically they were lobbing weighted mono with fly rods into little chutes and pockets hoping to floss a fish or two. I did not see them succeed thank God. We then got a call from Mr. Late Riser, Mr. Super Sizer the Big Bear himself... Big Ed. 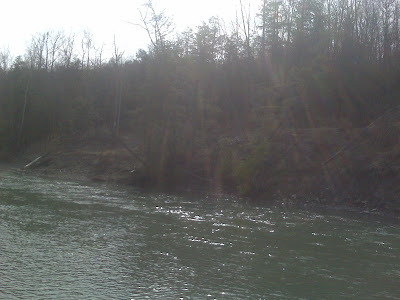 We headed down river to meet up with him in a section that had been holding skippers and smallies over the week. I'm blaming it on the warm weather and East wind. We did not do much of any thing. 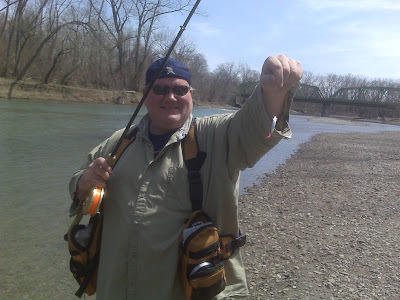 Big Ed caught an emerald shiner on a pinkie and the Commander got into some bass. I pretty much sat on a log and pondered life's great secrets while refreshing myself with one of Ed's gif ts. There were 4 guys in a 10 yards section fishing a neck down who were getting into a mix of fish but that was it for the area. It was still a worth while experience hanging out with the guys and they making me laugh with their stories.